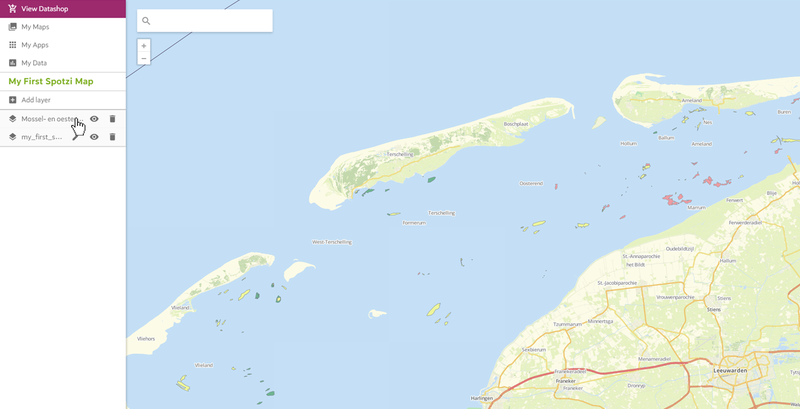 In the Spotzi Mapbuilder it is possible to add several layers. 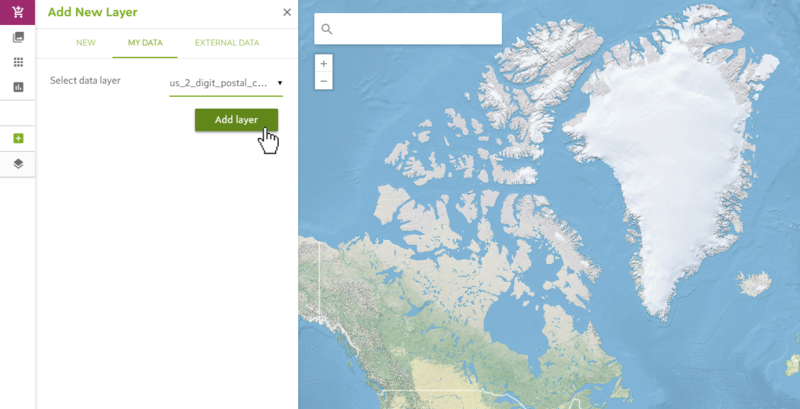 You can either add an empty data layer and draw points, lines or polygons on the map yourself or you can import location data and add a layer made from this data to your map. Please read further to learn how to add layers. 1. Do you want to create an empty layer in order to add a point, line or polygon yourself? Press the ADD LAYER button. 2. Pick NEW and name your new layer. Press ADD LAYER to confirm. Keep in mind that you can only draw one feature type per layer. That means that if you have created a new map layer with points, you can only add additional points to this layer. If you want to add lines or polygons you have to create another layer. 1. 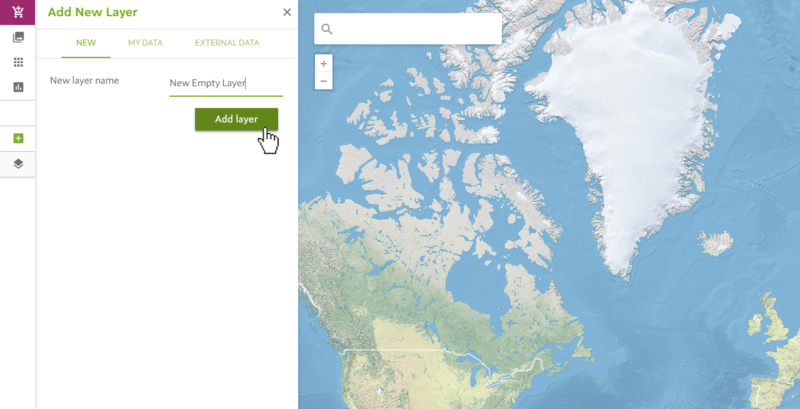 If you want to add a layer that depicts data from one of your datasets, press the ADD LAYER button again. 2. Pick MY DATA on the green ribbon. Select the dataset you want to depict from the drop-down list. Press the ADD LAYER button to confirm. 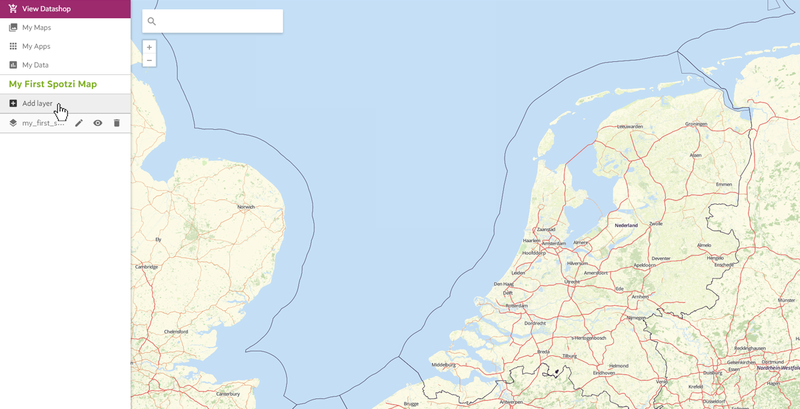 Spotzi also offers the possibilty to add a WMS (Web Map Service), WFS (Web Feature Service) or WCS (Web Coverage Service). 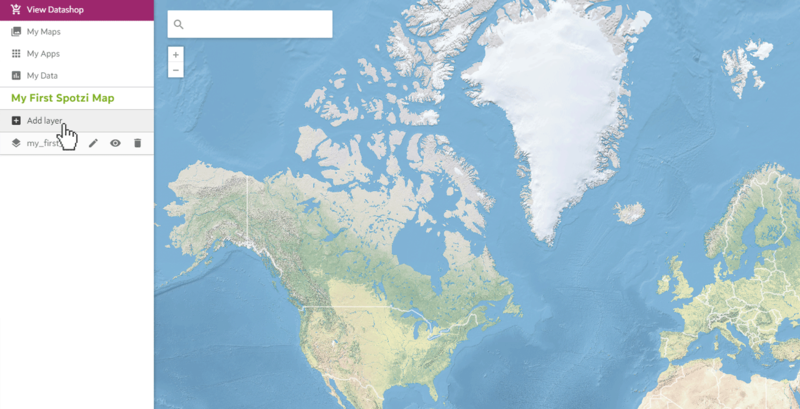 These web services allow you to visualize a map straight from the source/database. The only thing you need to access these web services is a WMS/WFS or WCS URL that will establish the connection between the database and Spotzi. 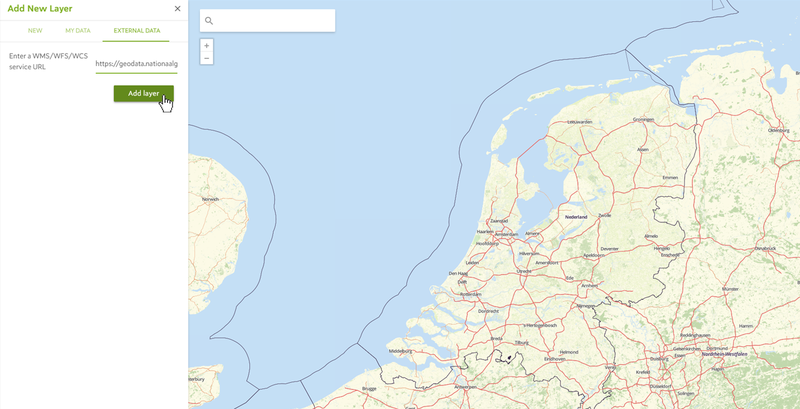 For this example let’s use the following WMS URL that will allow us to create all mussel- and oyster habitats in the Netherlands. 1. Press the ADD LAYER button. 2. Select EXTERNAL DATA on the green ribbon. Enter the WMS, WFS or WCS URL. Press the ADD LAYER button to confirm. 3. Congratulations! You have successfully added a WMS to your map. Keep in mind that, in case you add several layers, a WMS (Web Map Service) will always remain the topmost layer, regardless of the order in which you add your layers. You will also not be able to drag a WMS layer to a different position.